NIS America announced at their annual press event that The 25th Ward: The Silver Case will release in North America on March 13, 2018 and in Europe on March 16, 2018 for PlayStation 4. The Suda51 adventure game will also be getting a PC release via Steam on March 13. 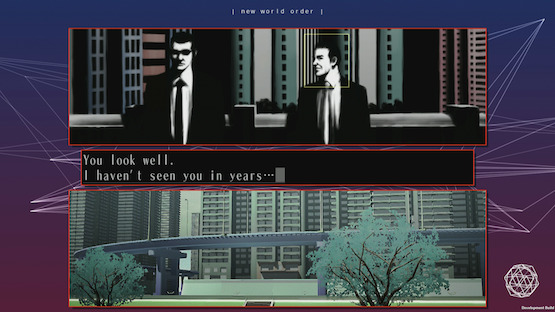 This marks the first time that The 25th Ward is available outside of Japan, and it’ll feature HD assets just like The Silver Case‘s recent remake. A SUDA51 Trip – Set in the “Kill the Past” universe, the series continues its bleak look into a semi- futuristic world on the edge of collapse and the misfits and antiheroes that inhabit it. The 25th Ward: The Silver Case releases for PlayStation 4 on March 13, 2018 in North America, and March 16, 2018 in Europe.